AONB Management Plans are statutory plans. They provide a framework for ensuring delivery of the statutory purpose for AONBs, that of conserving and enhancing the natural beauty of the landscape. After consultation the 2019 - 2024 will soon be published. 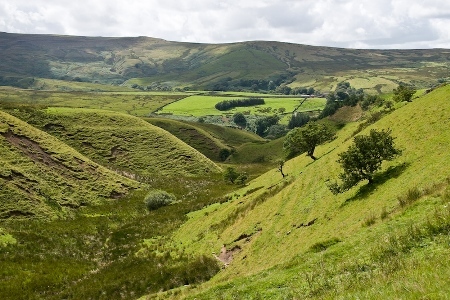 During 2018 the Forest of Bowland AONB Joint Advisory Committee undertook a review on behalf of the eight local authorities in the area, Craven District Council, Lancashire County Council, Lancaster City Council, North Yorkshire County Council, Pendle Borough Council, Preston City Council, Ribble Valley Borough Council and Wyre Council. A review group was established comprising representation from the local authorities, Natural England and AONB staff. The Joint Advisory Committee has delegated responsibility for managing the review process to a review group, which will report regularly to the AONB Joint Advisory Committee during the review. The public consultation took place between November 2018 and January 2019 from which a draft plan was produced. The draft plan is currently being considered by local authorities for adoption. During spring 2018, the AONB Unit carried out a short online survey to gather general information from respondents on what they most value about the AONB, what might be improved and offer thoughts on the priorities for the on-going review of the AONB Management Plan. The summary report for this survey can be downloaded here. You are invited to comment on the draft Environmental Report for the Forest of Bowland AONB Management Plan, from now until 26th April 2019. Please use the on-line consultation response form, accessed via the link below, to submit your comments. Please see our Privacy Notice https://www.forestofbowland.com/Privacy-Notice for details on how we deal with personal information.